If you are a resident of Hong Kong (HKSAR – Special Administrative Region), you will have to apply for a visa in a manner that is similar to other countries whose citizens require a visa to be allowed entry to Vietnam. The definition of Hong Kong as a country is a little complicated because it comes under the Republic of China’s official sovereignty, but for almost all practical purposes (including Visa processing) it acts and behaves like a country. The first and more time-consuming way is to go to the Vietnamese Embassy (it’s in the Great Smart Tower in Wan Chai Road) and apply for your visa through the office of the embassy. If you consider the time it takes to be physically present at the Embassy, and all the protocols and processes you have to undergo, it becomes evident that this option is not the most practical. The other option is to apply online, which saves you a ton of time and energy. The processing fees may be slightly cheaper at the Embassy, but if you factor in the costs of travelling or moving to-and-fro from the office to your home, you’ll find that the online option is more economical too! If you choose to get your visa online, all you have to do is get hold of a reliable Visa Service, and choose the right option for your visit (Business? Tourist?) and click on the Visa-On-Arrival Form so that you can make the necessary entries. • Fill the form with all the required information. This information should include details like your full name, Date-Of-Birth, Arrival Date, Passport Number, etc. • You can use your valid Credit card to make the transactions for the Application Fees you need to pay. You can pay by MasterCard, American Express, Visa, etc. Do a double-check of all your details before you go through with the payment. 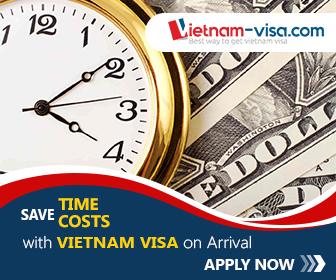 • Your Visa Service will send forward your application details and request for an Approval Letter from the Vietnamese Immigration Department (VID). This can take a few days on average. If you want it done in a day or sooner, apply here! • Get a print-out of your Approval Letter and carry it with you so that you can show the authorities when you enter the Vietnamese International Airport. Here, you will get your passport stamped, and you can set off to eat your first bowl of Pho, or go trekking in the Sapa valley.